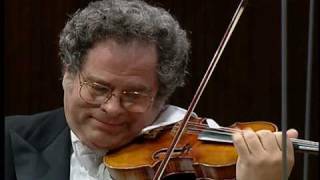 Itzhak Perlman has been honored with 16 GRAMMY® Awards, four Emmy Awards, a Kennedy Center Honor, a Grammy Lifetime Achievement Award and the Presidential Medal of Freedom, the nation’s highest honor, granted by President Obama in 2015. After the 2015-16 season, commemorating his 70th birthday with three album releases and worldwide concert tours, in the 2016-17 season, Itzhak Perlman performs season-opening gala concerts with the Baltimore Symphony and the Milwaukee Symphony, and appears with the Toronto, Cincinnati, Houston and San Diego symphonies among others. He play/conducts the New York Philharmonic, Philadelphia Orchestra, Seattle Symphony, Israel Philharmonic and the Chicago Symphony at Ravinia Festival. Throughout the season, he performs with his regular collaborator, pianist Rohan De Silva, in recitals that take them across North America including Chicago, West Palm, Nashville, Portland, San Francisco and Los Angeles. On September 2016, his first studio recording with Martha Argerich is released by Warner Classics, including works by Johann Sebastian Bach, Robert Schumann, and Johannes Brahms. Over the past two decades, Mr. Perlman has become more actively involved in music education through his work with the Perlman Music Program and the Juilliard School. 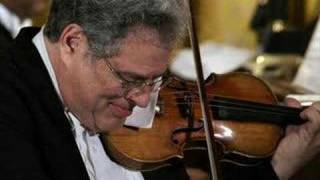 In the 2016-17 season, Itzhak Perlman performs season-opening gala concerts with the Baltimore Symphony and the Milwaukee Symphony, and appears with the Toronto, Cincinnati, Houston and San Diego symphonies among others. He play/conducts the New York Philharmonic, Philadelphia Orchestra, Seattle Symphony, Israel Philharmonic and the Chicago Symphony at Ravinia Festival. He continues the celebration of his popular klezmer program, In the Fiddler’s House, in concert with klezmer greats Andy Statman, Hankus Netsky and special guests from the Klezmer Conservatory Band and Brave Old World with an appearance in Santa Barbara. Throughout the season, he performs with his regular collaborator, pianist Rohan De Silva, in recitals that take them across North America including Chicago, West Palm, Nashville, Portland, San Francisco and Los Angeles. Further to his engagements as violinist and conductor, Mr. Perlman is increasingly making more appearances as a speaker. Upcoming speaking engagements include Fall 2016 appearances in Texas at Lamar University and in South Dakota with the John Vucurevich Foundation. In Fall 2016, Warner Classics will release a new album that Mr. Perlman recorded earlier this year in Paris with one of the greatest pianists of our time, Martha Argerich. It will mark a historic first studio album for this legendary duo exploring masterpieces by Bach, Schumann and Brahms. It has been 18 years since their last album together: a live recital from the Saratoga Performing Arts Center. 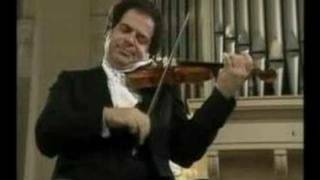 On that momentous occasion in 1998, in addition to recording the material for their initial album, the pair recorded Schumann’s Violin Sonata No. 1. The Schumann Sonata will at long last be released alongside the new recordings from the Paris sessions, making the forthcoming album a fascinating ‘then and now’ portrait of how two living legends have evolved musically. Earlier this year, Mr. Perlman recorded a bonus track for the original cast recording of the critically acclaimed Broadway revival of Fiddler on the Roof, released on Broadway Records in March 2016. The cast recording features Mr. Perlman on a track titled “Excerpts from Fiddler on the Roof,” arranged by John Williams. In 2012, Sony released Eternal Echoes: Songs & Dances for the Soul, featuring a collaboration with acclaimed cantor Yitzchak Meir Helfgot in liturgical and traditional Jewish arrangements for chamber orchestra and klezmer musicians, and in 2010,Sony released a recording of Mendelssohn Piano Trios with cellist Yo-Yo Ma and pianist Emanuel Ax. Highlights of albums over the last two decades have included a Deutsche Grammophon album with Mr. Perlman conducting the Israel Philharmonic,a live recording with pianist Martha Argerich performing Beethoven and Franck Sonatas (EMI); Cinema Serenade featuring popular hits from movies with John Williams conducting (Sony); A la Carte, a recording of short violin pieces with orchestra (EMI) and In the Fiddler’s House, a celebration of klezmer music (EMI) that formed the basis of the PBS television special. In 2004, EMI released The Perlman Edition, a limited-edition 15-CD box set featuring many of his finest EMI recordings as well as newly compiled material, and RCA Red Seal released a CD titled Perlman rediscovered, which includes material recorded in 1965 by a young Itzhak Perlman. Other recordings reveal Mr. Perlman’s devotion to education, including Concertos from my Childhood with the Juilliard Orchestra under Lawrence Foster (EMI) and Marita and her Heart’s Desire, composed and conducted by Bruce Adolphe (Telarc).